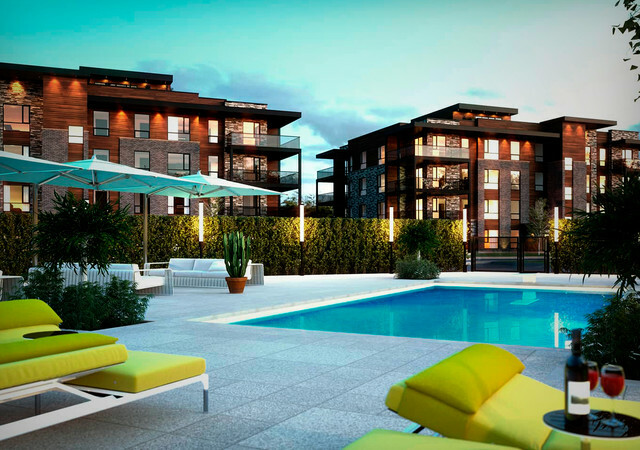 LUXXCITÉ is a real estate project located in Mirabel, on the North Shore of Montreal. Located in the heart of Cité Mirabel, the innovative building complex allows residents to enjoy the benefits of the surrounding nature while living in a trendy and contemporary environment. The architecture of the 19 buildings is contemporary in style with bright, uncluttered condos.